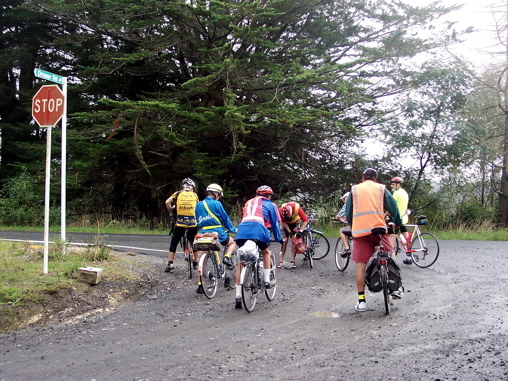 starting at the old Glen Eden railway station. visiting instead. Ladies - where were you???? This left 6 beardies and 3 barechins to go riding. Because of the weather, there were not too many photo ops, but here's a couple of shots. when some stopped to take wet weather gear off for the umpteenth time. 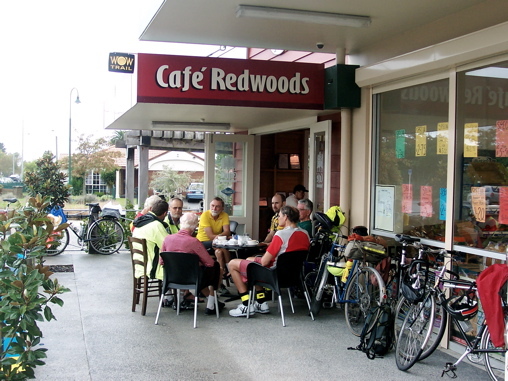 at Café Redwoods. Good coffee, good service. But the camera stopped clicking so, friends, that's your lot. it was not really too wet, it was not too windy, and it was not at all cold. In fact, we had another enjoyable ACTA ride.